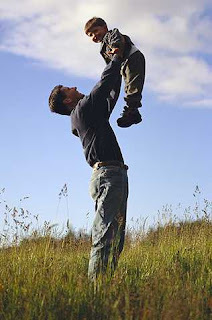 Sunday is Father’s Day, and just like Mother’s Day, it originated out of tragedy. The modern American celebration of Father’s Day began in 1908, when 361 men were killed in a mine explosion in Monongah, West Virginia. Father’s Day is celebrated around the world (on different days) to honor and commemorate the importance of male figures in family life.
? According the The Green Guide, more than half of dads say they’ve never received a “good” gift, and the average cost of a Father’s Day gift is $89.00. There are plenty of green, eco gifts available to buy Dad. Instead of supporting the overconsumerism in this country spawned by holidays, how about showing Dad you love him with a truly sustainable gift. These gifts don’t require you to buy Dad anything, but to spend time with him. To read more, please visit Green Options: Green Family Values: Eco Gifts for a Green Father’s Day Means Not Buying Anything!